This tin features a couple sitting on the moon. 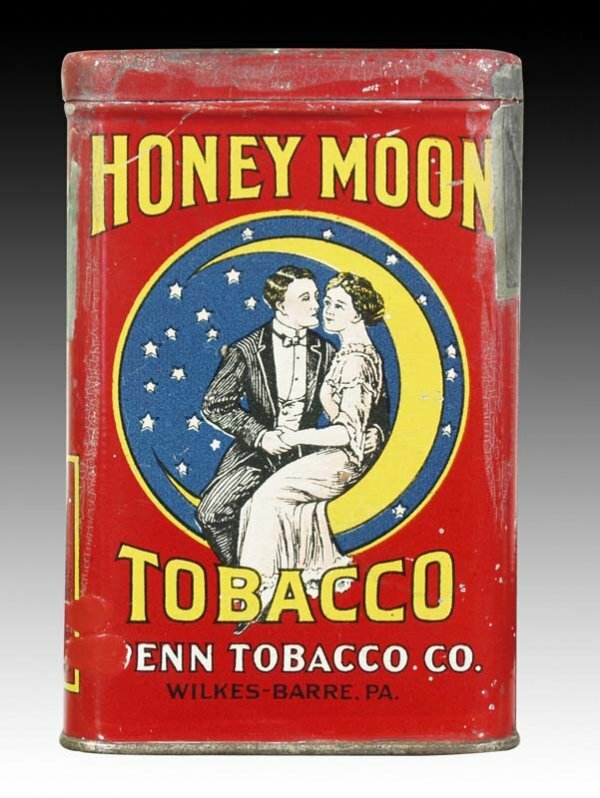 Tin manufactured by Penn Tobacco Co., Wilkes-Barre, PA. 4.5″ x 3″ x 1″. There are at least three other varieties of this tin, (one man on the moon, rum flavored one man on moon, and rum flavored with a 10 cent logo) These other versions are worth much less than the tin pictured above because they are relatively common.